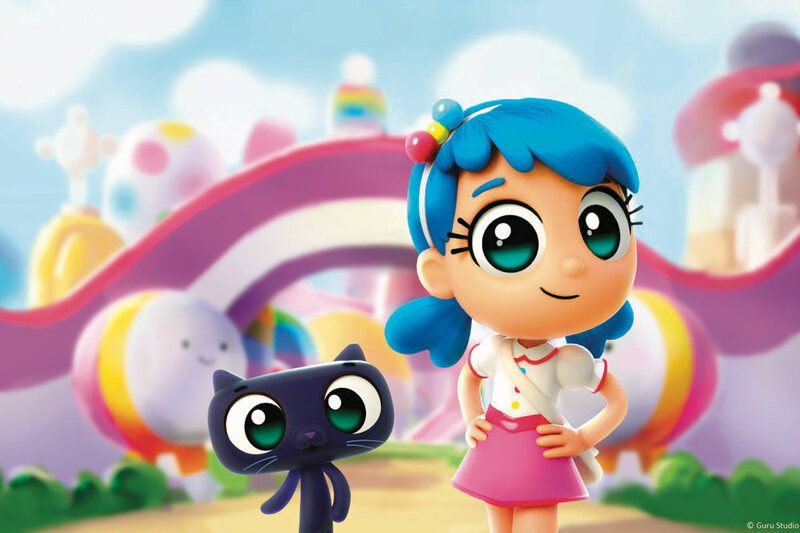 To peek inside the mind of artist Sam Borkson ’01 and discover his colorful universe of wild fantasy, all you have to do is log in to Netflix this August and watch True and the Rainbow Kingdom, an animated series that blends art and technology. 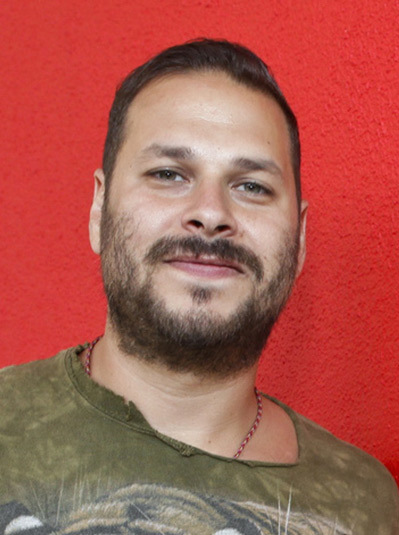 Borkson is creating it as part of the FriendsWithYou collective, which he started in 2002 with partner Arturo “Tury” Sandoval III to produce fine art in a wide variety of mediums that spread a message of “magic, luck and friendship.” In addition to the new series, Borkson expresses his inner visions through paintings, sculpture, virtual reality games and large-scale interactive inflatable installations across North America, Asia and Europe. 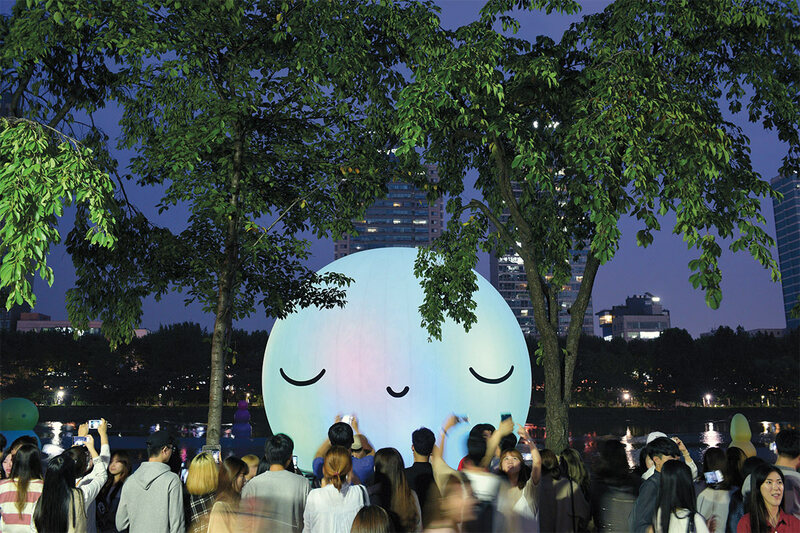 Super Moon, 60-foot opalescent inflatable moon sculpture illuminated by programmed LEDs, was installed at Seokchon Lake in Seoul, Korea, September 1–October 3, 2016. 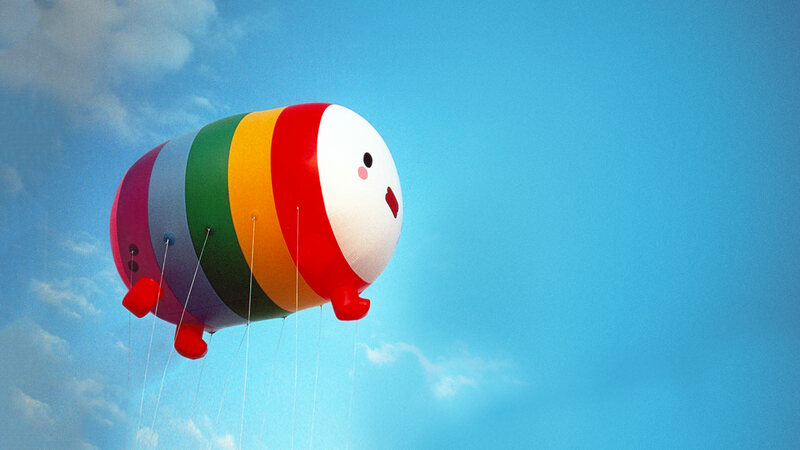 Skywalkers opened Art Basel Miami in 2006 with a parade of 18 inflatable art blimps designed by FriendsWithYou and their artist friends. 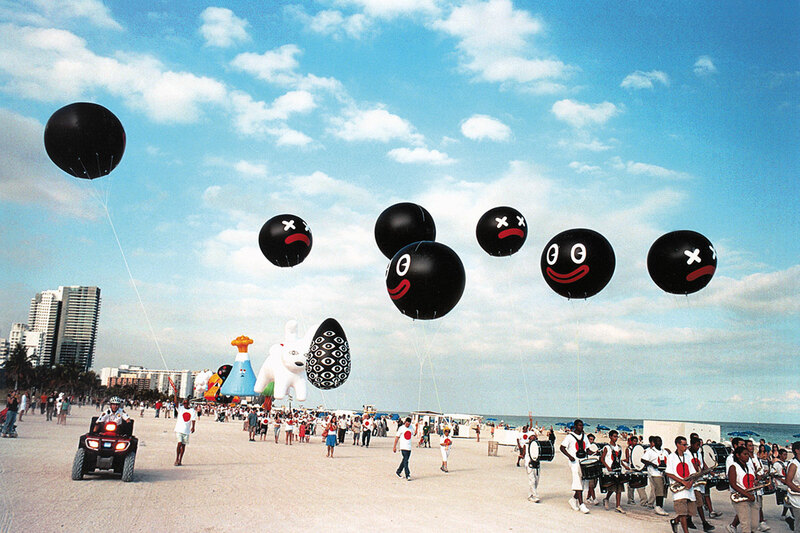 The Miami Beach procession, which was commissioned by Toyota Scion, included more than 300 volunteers and a high school marching band. 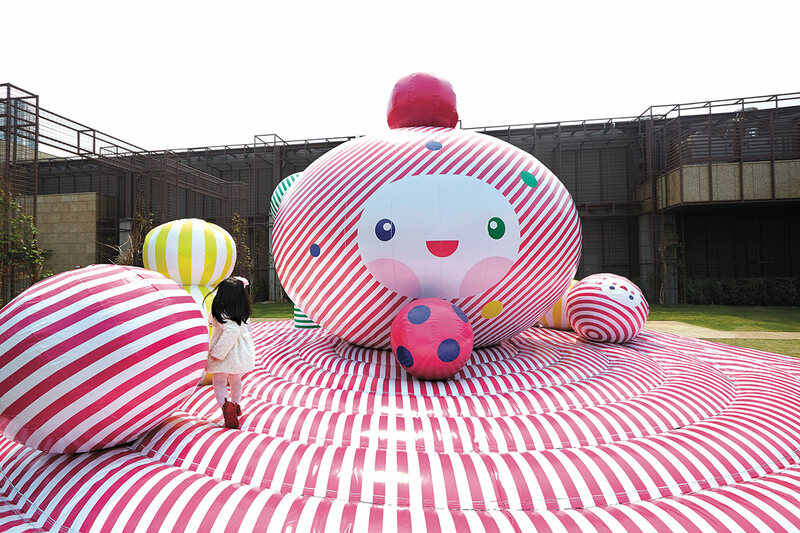 Happy Gift, which was commissioned in 2013 by the Hyundai Family of Korea to be publicly exhibited at Hyundai Department Gardens in Seoul, is a “hypnotically striped,” 25-foot-wide inflatable bounce house designed for both children and adults. 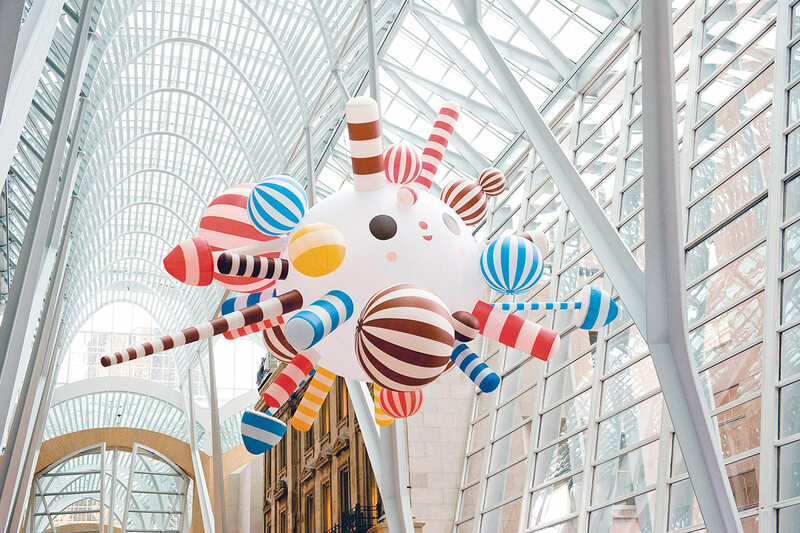 Starburst, an inflatable sculpture 25 feet in diameter, was commissioned by the Luminato Toronto Festival of Arts and Creativity in 2010.